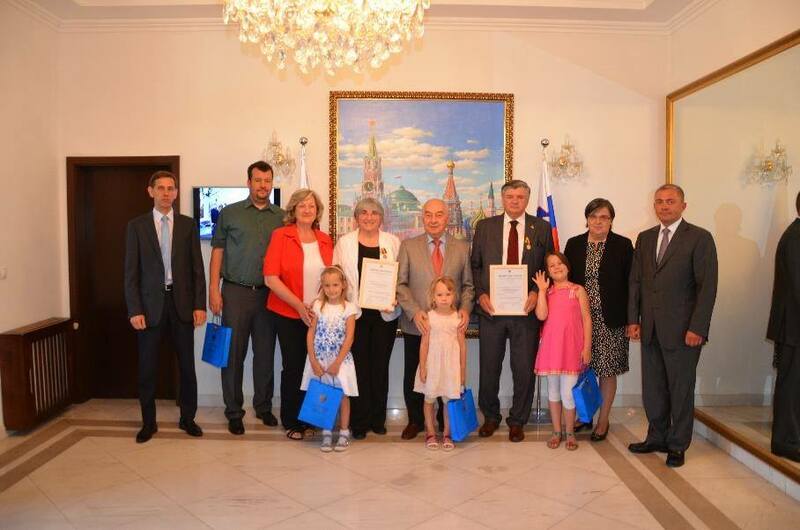 Marian Krizhman and Lubitse Elushic, the representatives of the biggest veterans' union in Slovenia supporting the national liberation struggle of 1941-1945 received awards from Russian Defense Ministry. The award ceremony took place in Russian Embassy in Lublin, says the Ministry's Facebook page. A Russian diplomat Doku Zavgaev appreciated their contribution. He said that the union, which had recently celebrated the 70th anniversary, was doing an important job of preserving the historic truth and reminding people of the lessons learnt during the WW2. The union's member prevent from glorifying Nazism and restoring its criminal ideology. The diplomat reminded that some political forces in Europe were encouraging the Nazis' views and rewriting history hoping to incite national hatred, while the union was promoting peace, friendship and international cooperation.